Armenia's economy needs to secure a robust growth in the face of imminent regional challenges, a former prime minister of the Nagorno-Karabakh (Artsakh) Republic said today as he met with students of the Yerevan State University (YSU). At a public lecture in YSU, Arayik Harutyunyan spoke particularly of the Azerbaijan-funded Southern Gas Corridor project, which he said is currently nearing its competition to make the Azerbaijani gas accessible to Europe through the Caspian and Middle Eastern regions. 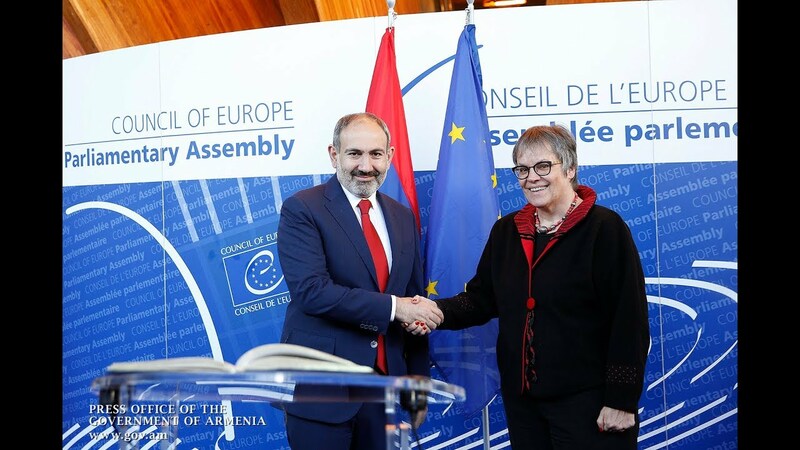 Harutyunyan warned that the initiative, proposed by the European Commission, allows Azerbaijan to continue ramping up its military capacity and threaten Armenia with its belligerent rhetoric. Addressing the current trends in the global economy, Harutyunyan noted that the countries' gross domestic product (GDP) is normally reflected in their budgets. ''The average global GDP is $100,000; for the United States, it is [$] 60,000 and for Israel – [$]40,000, tenfold higher than in Armenia. The same is reflected in the budget,'' he said, stressing the importance of investments. ''We know that Armenia's savings are very scanty in essence, with no resources being developed at all. In terms of foreign investments, we lack large-scale programs but have instead broad opportunities of development, particularly in the agriculture and energy sectors, infrastructures, information technologies, etc.,'' he added. Harutyunyan further voiced his proposal – submitted also in an open letter – to Armenian Prime Minister Nikol Pashinyan, urging him to move to increasing the foreign debt and attracting investments to secure a further economic growth. ''Certain areas do require a budgetary deficit with a corresponding high interest rate and set of tools, as well as investments not limited only to the state budget,'' he added. Harutyunyan highlighted particularly economic development, infrastructure building and increase in the foreign debt as the key spheres to which the deficit could be directed to pave the way to a further progress.